Four days after arriving at Bangalore - four days of gastronomical treat, and a totally unexpected rail experience - it was time to head back home. I had to carry some baggage back home and chose the Kallada B9R for my return. It was sunny until the day before my journey. 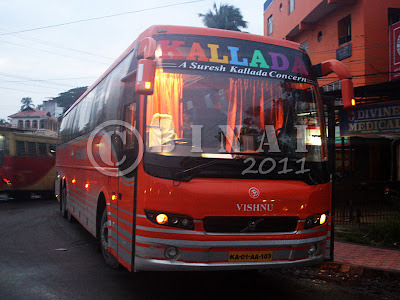 My boarding point was the Kallada office at Madiwala. 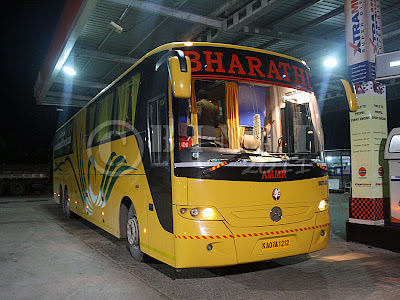 We reached the office around 20:30, while my bus was scheduled to depart at 2130 (reporting time was 2115). On reaching, I headed straight to get my boarding pass, and also book the luggage that i was carrying alone - the guy who takes care of the Parcels asked me to wait till the bus comes.